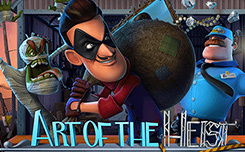 Slot Art of the Heist, has five reels and 21 paylines. On the screen, you can see: a museum, a guard, a ghost, and others. 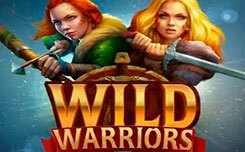 Wild (box), forms winning chains and replaces other symbols, except bonus. Bonus (painting) is paid at the general rate regardless of the location on the screen. At least three pictures begin the prize round. Robber’s Pathway – Based on the pictures on the main screen is a conditional trail, which should be followed by the main character during the game process. It begins in the upper left corner, and ends in the lower right. The robber begins to move when in the cell in front of him is the phone. The number of moves is determined randomly. The character can expect different surprises. The guard detains the thief for several spins, the casket adds the number of future spins, the picture launches a bonus round, and the ghost drives the swindler back a couple of steps. 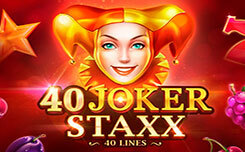 Free Spins – When a robber gets to the exit, the player becomes a member of the free spins. 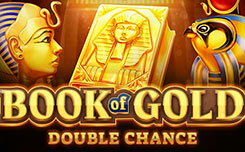 Initially there are ten, but the thief can increase the number of spins. In the prize runs on the screen appear stacked Wild symbols, occupying up to three cells vertically. Bonus Game – Here the thief will need to steal an expensive picture. At his disposal will be the keys that need to be used to unlock the doors. You will indicate which way to move it. The further the robber gets, the larger will be the final payment.